mazing time visiting our most recent project: volunteering with orangutans in Borneo and Malaysia. I am extremely excited to be able to offer this opportunity to our volunteers and help to promote orangutan conservation in Asia. As we all know, orangutan populations in the wild are under severe threat. Logging and palm oil plantations have led to a dramatic loss of habitat for these incredible apes, which share a staggering 97% of DNA with humans. Known as “people of the forest”, orangutans are known for their incredible intelligence. Whilst looking completely disinterested, they are able to learn and pick up concepts with an incredible amount of speed. They are cheeky, lively and very very cute. Whilst this may well be the case, when fully grown, a male can be up to 8 times stronger than a man! My stay in Malaysia started in the frenetic city of Kuala Lumpur. Arriving early in the morning I could already see the heat in the air as I pulled into the city centre. My first thoughts of this capital city were of how amazing the contrasts here are. Towering skyscrapers and futuristic business districts really dominate the skyline, yet underneath all that rich splendour is a colonial centre with distinctively European buildings and a miniature China Town dominated by huge Chinese lanterns hanging from the rafters. Huge markets to rival Bangkok’s centre are an exciting place to really pick up on the vibe of the city, and enjoy the cultural highlights of the location. The city is an exciting place to visit and it was great to really see this modern side of the country before heading slightly further off the beaten track. 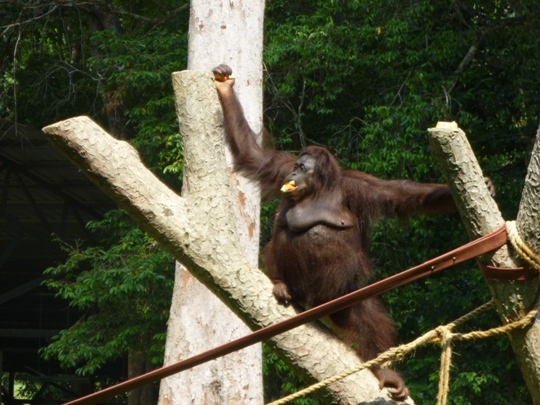 My trip first took me 2 hours out of Kuala Lumpur to a specialist primate centre located in a local zoo. Here volunteers work closely with the primate experts to improve the animal welfare standards for the orangutans and other primates in the centre’s care. This is an amazing project, as you can really see the results of your hard work. 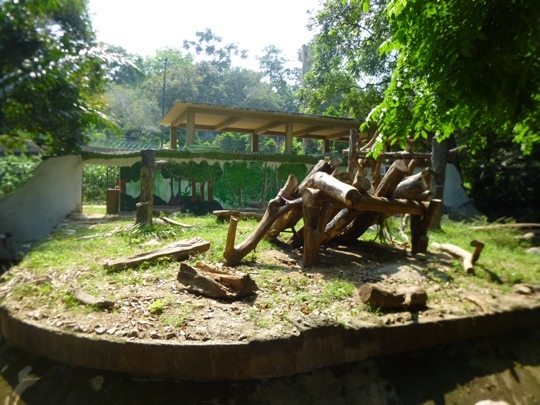 Volunteers help to create enrichments for the orangutans, from making swings to creating climbing frames to preparing their food. This project is so important as animal welfare thinking is in very early development still in Malaysia. Many animals kept in captivity are being cared for by people with no education in their field, and who are simply trying to do the best that they can with the facilities that they have. This project is all about working alongside local people to help them to have more facilities and to do more to improve welfare standards for the animals in their care. This relationship between the staff and the volunteers has really blossomed, and both value the work that is being done together. It is incredible to work so closely with the orangutans, and be able to witness how intelligent these creatures really are. Knowing that all of the work being done here is to improve the living standards and conditions for these orangutans is a real privillege. In addition to working with the orangutans you can also work with the chimpanzees, monkeys, gibbons and macaques- and even the sun bears, tigers and elephants if you like! The centre is absolutely beautiful, sitting on the edge of a river and surrounded by stunning greenery. Volunteers live in the centre in a comfortable yet basic accommodation. Listen out for the calls of the wild as you go to sleep! This is a magical setting to be living in, and part of the huge appeal is to be able to work and live alongside so many incredible animals. Volunteers on the orangutan conservation project spend 2 weeks volunteering here before setting off into the Bornean jungle to work to improve habitats for orangutans in the wild. This provides an incredible backdrop to understanding conservation and protection of a species. To find out more about this project as a whole, visit our orangutan conservation in Borneo and Malaysia webpage.